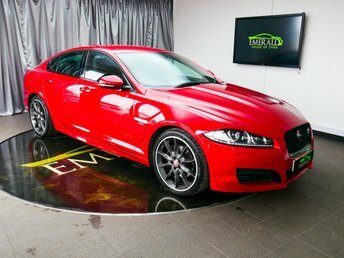 Based in Wednesbury, Emerald House of Cars has a great selection of Jaguars. Emerald House of Cars has something for everyone, whichever type of car you are looking for, and when you find a motor you love, our experts will find you a fantastic contract. Our associations with high-street lenders and top automotive finance institutions let us to give our customers exceptional value. Pay Emerald House of Cars a visit and look at our cars. Emerald House of Cars is located near Solihull, five minutes away from the M6. With such fantastic vehicles, you will not be disappointed.